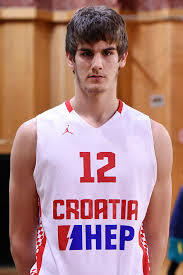 Strengths: Dragan Bender is the top international prospect in this draft, and a player who will turn a lot of heads thanks to his combination of size and skills. Though he is still young, the potential is off the charts for Bender. Though a legit seven footer, Bender operates best away from the basket at this stage. He is an excellent ball-handler who sees the court well and is a good passer. He is a good rebounder and is capable of pushing the break himself, which is another great skill to have. His shooting is solid, but he is already showing improvements. Defensively he has great lateral quickness and foot speed. He has shown the potential to be able to switch out on smaller players on the perimeter, and his length allows him to challenge shots consistently. Weaknesses: Bender is improving his body, but he is still very thin and will need to add muscle to his frame if he is going to be able to bang with NBA big men. He already struggles to hold position against the more physical players overseas. Toughness has also been a question mark for Bender as he is more comfortable on the perimeter and doesn’t prefer to get physical down on the block. Bender doesn’t have a consistent jump shot yet. It is showing improvement and his mid-range game is solid, but for someone who prefers to play outside, he will need to be more consistent from deep.